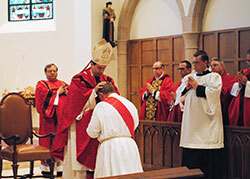 Bishop Steven J. Lopes, shepherd of the Personal Ordinariate of the Chair of St. Peter, ordained transitional Deacon Luke Reese of Indianapolis a priest on June 29 at the Cathedral of Our Lady of Walsingham in Houston. The ordinariate was established by Pope Benedict XVI in 2012, and functions like a diocese for Catholics who were previously Anglicans or Episcopalians in the U.S. and Canada. 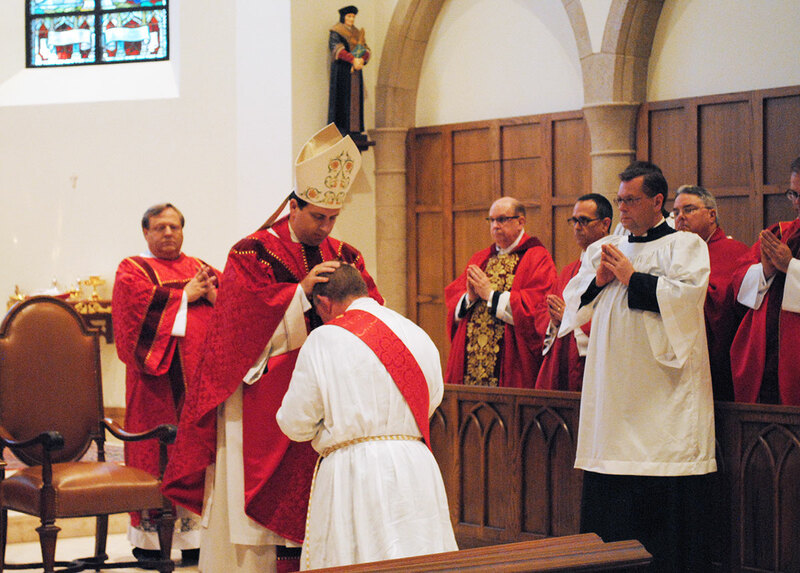 A part of the full communion of the Catholic Church, the ordinariate is allowed to maintain aspects of its Anglican spiritual heritage, including in its worship and allowing married men to be ordained priests. Father Reese is a priest of the ordinariate, not of the Archdiocese of Indianapolis. Archbishop Joseph W. Tobin has appointed him to serve as associate pastor of Our Lady of the Most Holy Rosary Parish in Indianapolis. There, he will minister to members of the ordinariate and the rest of the members of the parish. He will also assist in other parishes in central and southern Indiana. Married for 24 years and a father of seven, Father Reese is the first married priest to minister in the archdiocese.